Each seat is handcrafted in Southern California using top-grade custom materials. Due to the custom nature of the E3 Series Seat, Infinity cannot offer refunds on this seat at this time. Thank you for your understanding. Category: Bike Seats. 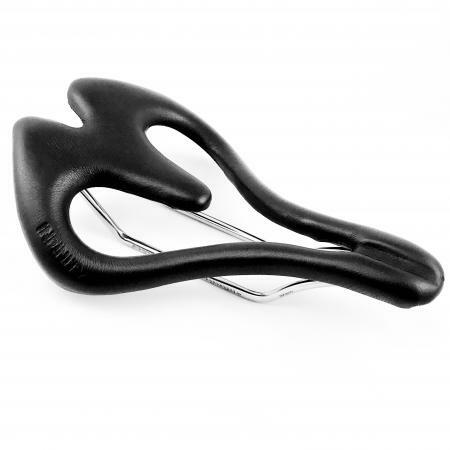 Brand: Bikes Seats. The E3-Series weighs 265 grams and is ideal for the novice to the advanced cyclist. 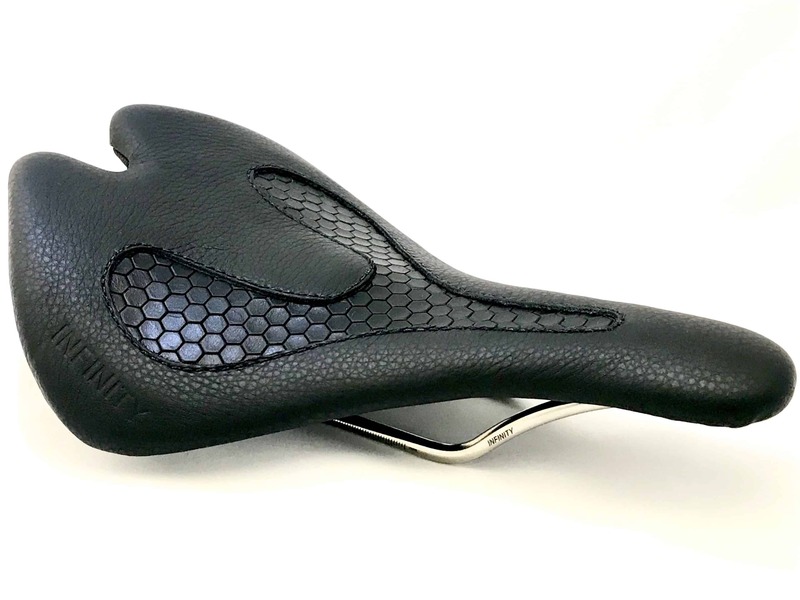 The bifurcated horn of the seat creates a space for both male and female soft tissue areas while cycling in an aggressive position with a minimal TT padded short or just compression shorts. 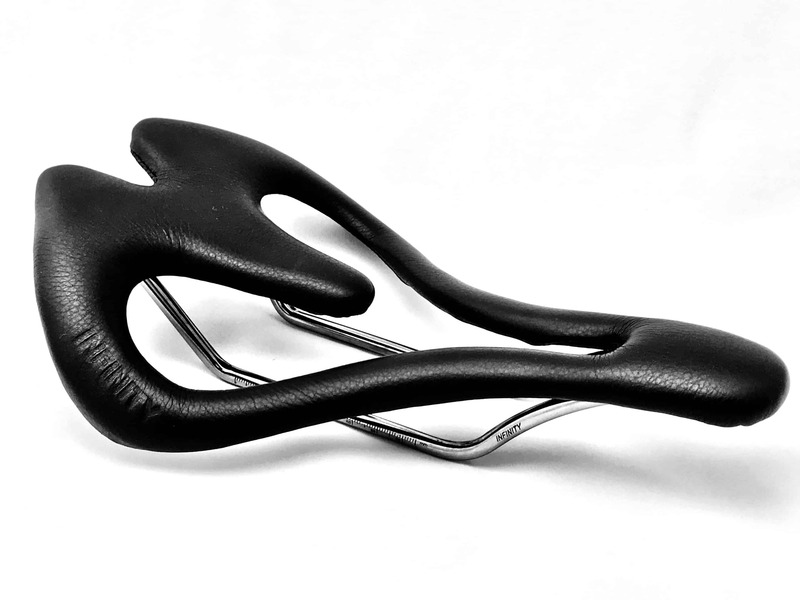 An ideal choice for cyclists: Triathletes, Road Cyclists, Tandems, Cyclocross, and Ultra Cyclists. It features our signature full-cutout design. Hand shaped and covered with state of the art 1/4 inch Aerospace foam and individually, hand-wrapped in genuine Italian leather.